Published 1980 by Bella Vista Historical Society, Inc. This is a history of the Bella Vista retirement / vacation community located in Northwestern Arkansas just south of the Missouri border. 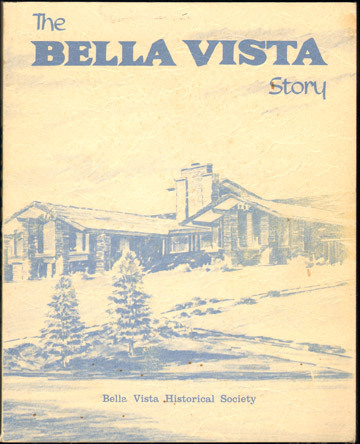 Includes a description and numerous photos of the history, attractions and amenities of the Bella Vista area. Cover shows light wear and spotting. Inside pages are very nice and clean. Soft cover, 196 pages, with index.